If you look up in the night’s sky and point even a simple pair of binoculars at Jupiter, like Galileo did with a rudimentary telescope 405 years ago, you will see what he did: a reddish-pink planet with swirling masses of clouds. These clouds are beautiful in their own right, but there is one particular feature that has drawn the eyes and the fascination of people for over four centuries. 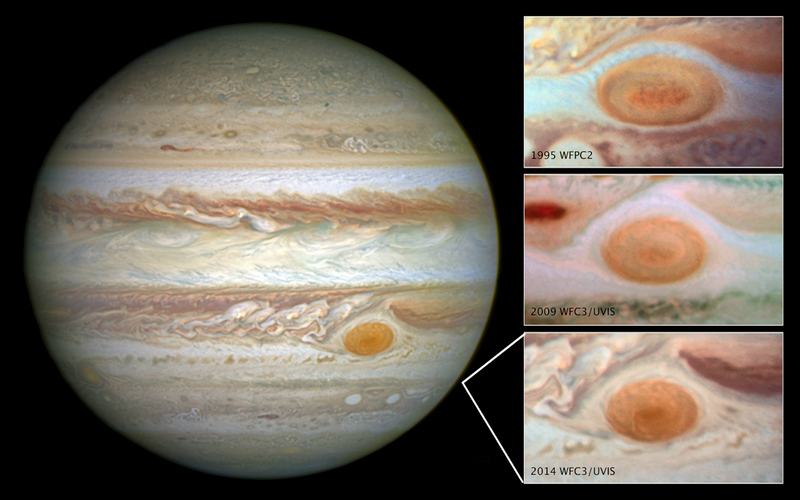 The Great Red Spot. This swirling, gurgling red super-storm could fit three earths inside of it and has been raging on the gas giant ever since we’ve been keeping records. How it has lasted for so long and why it has such a different colour has long been a mystery. In 2000, on the way to Saturn, an ESA mission called Cassini aimed to give us some clues when it flew within 9.7 million kilometres of Jupiter and looked more closely at the spot than we had ever done before or since. 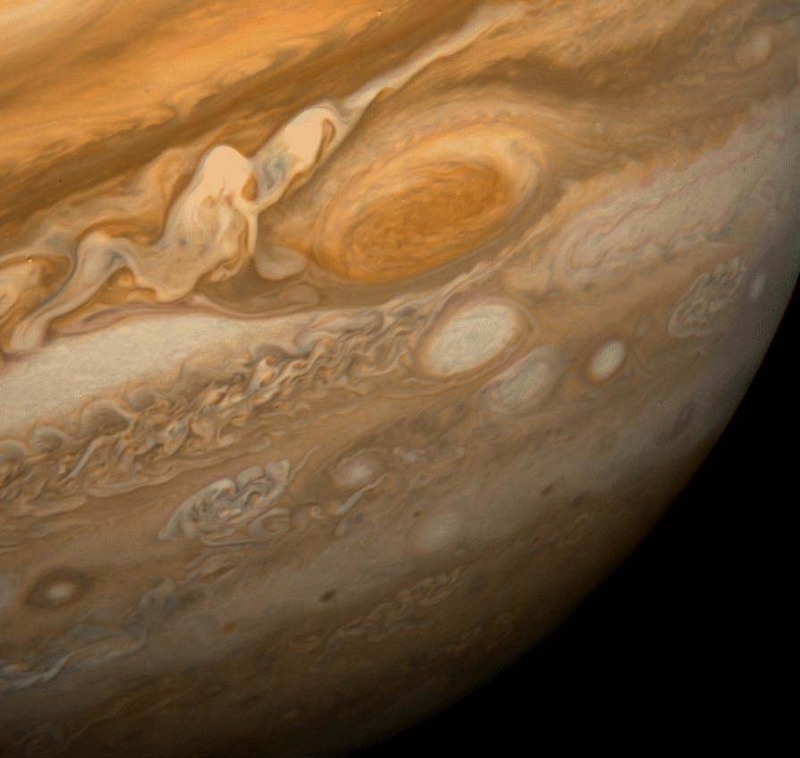 9.7 million kilometres sounds like a lot, but consider that is only about 1% of the distance between Jupiter and Saturn. (As a side note, did you know that Jupiter and Saturn are further away from each other than Jupiter and Earth? I didn’t!). 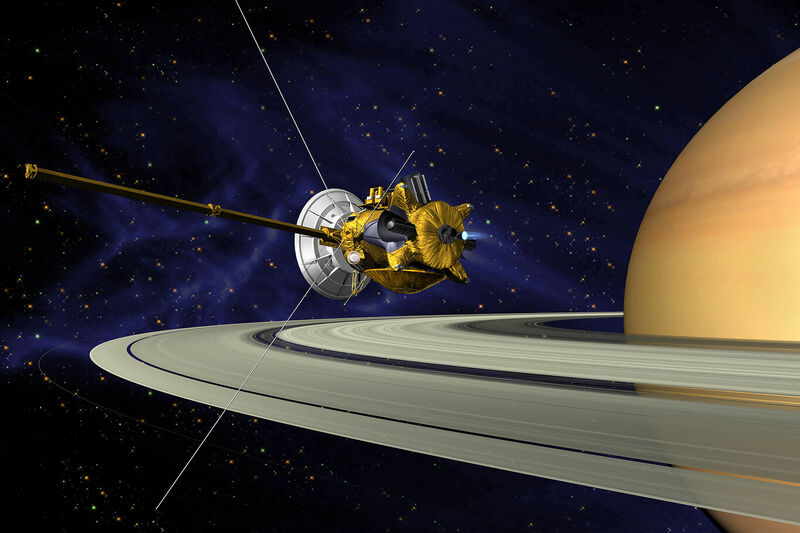 With its flyby, Cassini found out that the clouds that form the spot are up to eight kilometres higher than the surrounding clouds and started to understand the chemical composition of the clouds. 14 years later, in November 2014, NASA scientists released results that combine data from the Cassini flyby with lab experiments on Earth. They showed that the colour must come from the interaction of ultraviolet (UV) light from the sun and the ammonia and acetylene in the top layers of the storm. Once the red particles are produced, they are trapped by the circular winds of the storm. This overturns the previous theory that it was the bottom clouds which provided the colour. The NASA scientists compare the colour of the storm to a sunburn rather than a blush. So, thanks to NASA and the Cassini mission, we have a better idea about how the spot gets its colour, but last spring the astronomy world was in a tizzy because news came that the spot has been shrinking. Since it is so noticeable, the storm has been recorded as far back as the 1800s, when it was believed to be about 41000 km across (roughly equal to the circumference of Earth). The most recent image, from 2014, puts the size at only 16500 km (less than the length of the great wall of China). Not only is it much smaller than it used to be, but the rate of shrinkage is increasing. 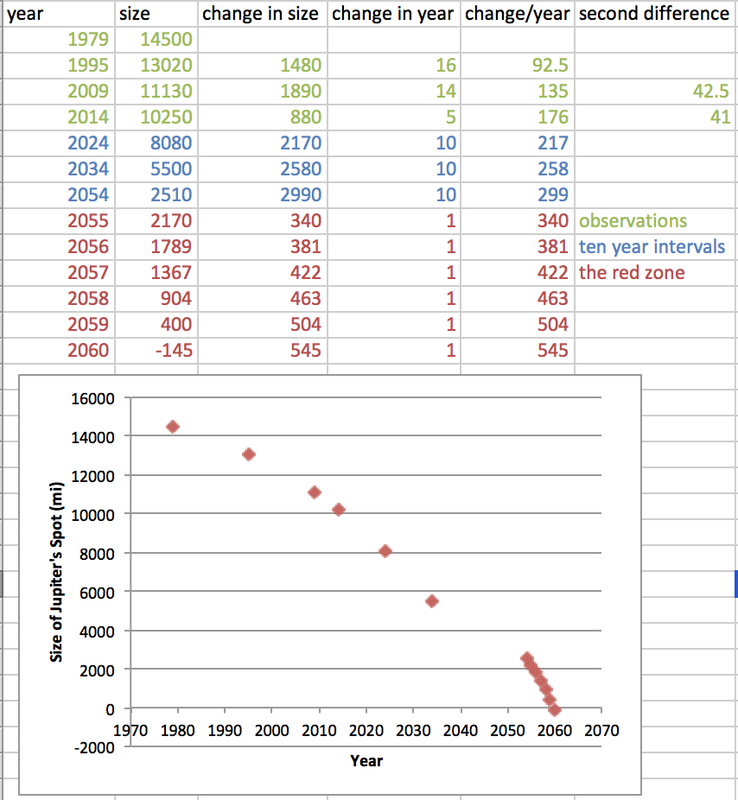 If my calculations are correct, and if the storm keeps shrinking the way it has been, it will disappear entirely in about 35 years, in 2059. That means we may be among the last people to ever see the spot that Galileo spied on that fateful night in 1610. Instead of relying on me and my calculations, however, NASA sent a spacecraft to go investigate. 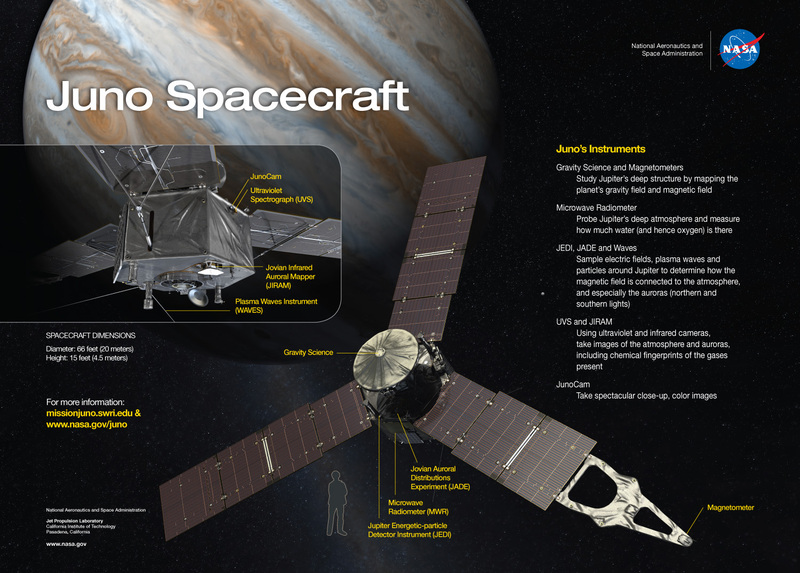 Juno left in 2011 and by now is more than halfway to its destination. When it arrives in July 2016, Juno will study the gas giant in a variety of ways and hopefully get the bottom of this whole shrinking storm mystery.